I do not claim everything in the pages following to be original, but I do say that every trick and routine in this book has been used and tried by me and that everything here is audience tested and will go over with an audience. Perhaps the thousands of Magicians all over North America who have seen my shows in the past 22 years will recall having seen me perform many of these effects. This is not a book of card tricks or close-up pocket effects, but a collection of tricks and routines for the performing Magician who gives shows and entertains audiences. 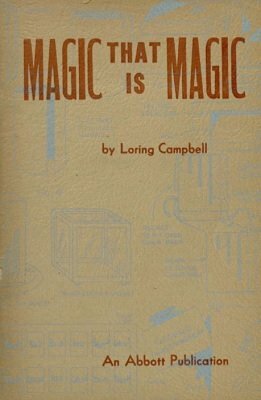 I believe that the material presented here is even better than that in “This Is Magic”. I hope that the reader will agree with me as my main reason for writing is to please you. 1st edition 1946, 76 pages; PDF 48 pages.